To see the first post on the tablet – To see the previous post on the tablet. 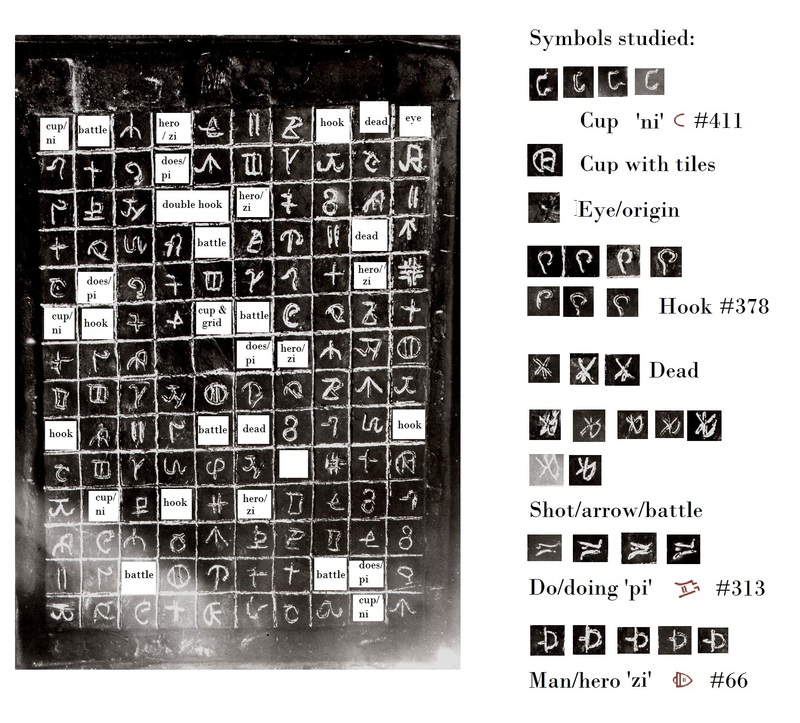 In the last posts we looked at the overall layout of the Newberry Tablet and a few symbols. In this post four symbols are studied. We begin with the hook or staff symbol because it involves the least argument as to its meaning. Whether or not a particular sound is associated with it cannot be determined. It is found in the Luwian Glyph list at #378. It appears 7 times on the tablet. Notice the double staves in the third row just above the two blank spaces which imply its importance. They are in positions: 3,4 and 3, 5. (Note that as 34 and 35 these can be summed to 69. See below.) The others are located at: 1,8; 6,2; 9,1; 9,10; and 11,4. It takes little work to see significance in this group of numbers with regards to prior studies. The next symbol studied (at 2, 4) is distinct and impossible to find anywhere repeated except in the Luwian Glyph list at #313. Although not a perfect match every element of the symbol is represented in the glyph. It is said to mean the verb ‘does’ with sound ‘pi.’ It is used four times in the tablet at positions: 2,4; 5,2; 7,6; and 13,9. The number of hours in a day is 24; the weeks in a year is 52; and the period of Halley’s Comet is 76 years and the division of 9 by 13 = .692 which reminds us there are 69.2 miles to the longitudinal degree at the equator.. Even more powerful, the first value in the Torah is 913 and the side length of the Great Pyramid is 913 feet which is said to represent one fourth the days in a year (365.24/4 = 91.3). 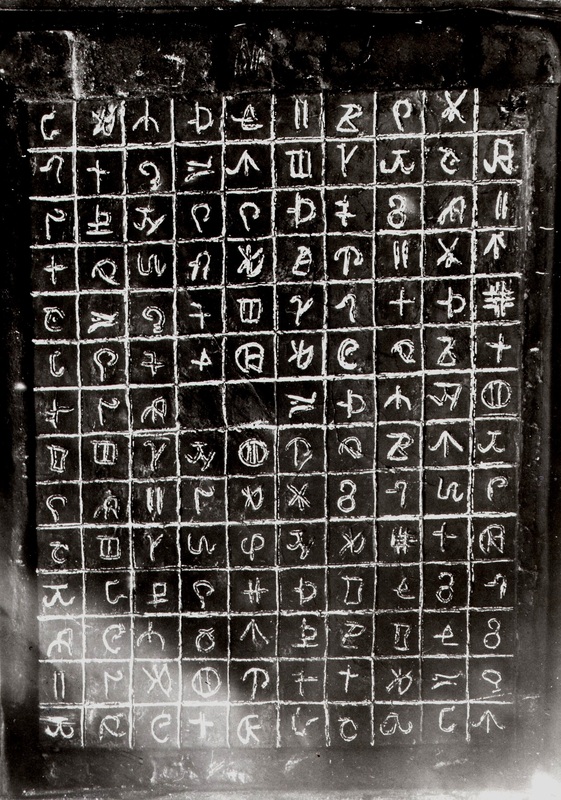 Identification of Newberry Tablet symbols. On to the next post on the tablet. This entry was posted in American History, Ancient History, Mysteries, Native American, Religion, Science and tagged American Indian, Ancient Native American Cosmology, Comet Impact, Diffusionism, Luwian Hieroglyphs, Newberry Tablet.